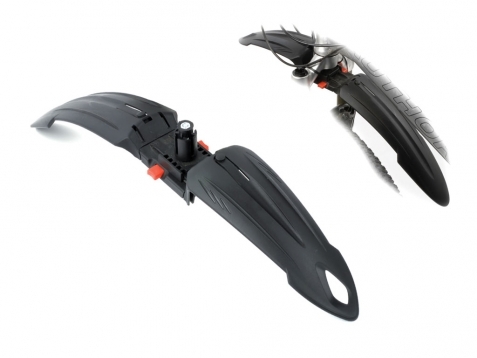 Front mudguard AUTHOR, modern shorter mudguards with universal bracket, fabric plastic. Black colour. Weight 170g.